An Experienced & Trained support team is dedicated for customer support. BTC offers services to its clients (based on the agreement). We offer for any long term service contract (every month or yearly) you will get the following features in addition with the existing support facility. BTC knows how to provide with the best services across UAE, therefore our team is here to give you consultancy suggesting ERP and CRM solutions after analyzing the businesses to help businesses meet their goals in an efficient way. 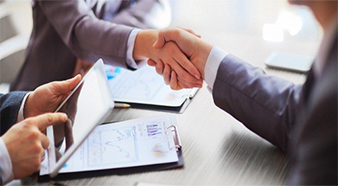 Our business consultants put emphasis on fully understanding your business model. Based on this knowledge they advise you about the software solutions in UAE that best add value to your business. Either through investment in new solutions, improved IT architecture or usability, or by creating even better integration between existing software solutions. Consulting professionals at BTC have extensive expertise in implementing enterprise resource planning product in many industries, including sales, HR, wholesale distribution, retail, financial services, and manufacturing. Depending on your company size, budget and resources, it has an implementation approach that’s right for you. To run a successful business venture with ERP software, you need to implement it through a systematic and structured approach and we, at BTC-ME, follow it effectively to make sure that all the components work efficiently. We make sure that workflow is according to business requirements, all the business operations and activities are integrated and organizational structure has been established. 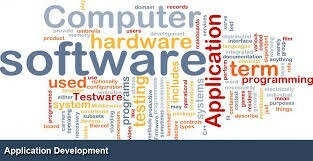 Software deployment includes all the activities and procedures that make software available for use. In ERP, the categories for deployment generally come in two flavors: ERP On-Premise, and Cloud ERP. ERP Cloud In UAE: Cloud ERP offers elasticity meaning resources and costs can increase or decrease depending on your demands. 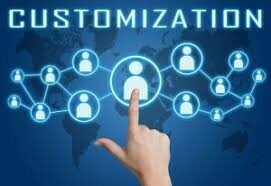 The simplicity of deployment can be offset by hurdles of upgrading highly customized systems. Customization of ERP software becomes necessary in every part of the technology and because of this technology development, most of the organizations tend to customize their software as per their requirement. ERP implementation project plan should contain explicit controls on customization, developed with the IT members of ERP vendors In Dubai. The controls should set firm boundaries on what type of customization can be done, on who is allowed to request customization, who is allowed to approve customization, and who is allowed to write customization. BTC helps your business in customization function which lets you work with different fields and filters, and shows you a preview of your report with just some of the data. The migration of an organization’s historical and live data to its new ERP system is fundamental to a successful ERP project. There are a number of steps that your organization must take in order to effectively manage this process. Many companies find ERP consultants or partners In UAE that can help limit risk and increase ROI. Data migration is a key consideration for any system implementation, upgrade or consolidation. BTC provides you with this service of automated data migration which minimizes human intervention and application downtime and enhances migration speed. Our easy to use data migration software tools provide the data manipulation capabilities you expect in a powerful extract, transform, and load tool, but offer additional data integration capabilities, such as real-time data synchronization, that you can only get in a full-featured data integration platform. Plus they are easy and efficient to use.